Sunday, April 22, 2:00 p.m. Crossing Black Waters is an exploration of borders through one family's personal odyssey from the violent upheaval of the Partition of India in 1947 to emigrating to the U.S. The book delves into the psychological impact of leaving behind a past that keeps "pulsating behind swinging shutters of thought" to recreate lives and identities anew, and searches for "home"--a "lonely room in the [my] mind," a "heartache" at the "end of rainbows," or else a fictitious "country," built around "hubs" of friendships forged over "glasses of wine and tandoori chicken." A key phrase is "I am knot"--the "not" of losing one's identity and family coupled with the idea that one cannot truly be separate and is "knotted" with the past and kin for life. 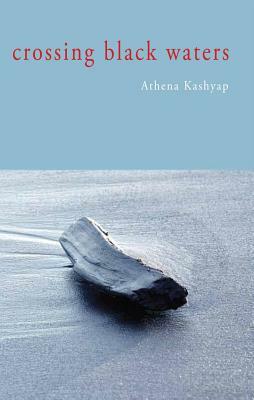 Athena Kashyap's poetry has appeared in Exquisite Corpse, Quiddity, Sanskriti, The Fourth River among other journals, and has also been widely anthologized in the U.S. and U.K. She has a MFA and MA from San Francisco State University and University of California at Davis, and is an Adjunct Professor of English at City College of San Francisco. She currently resides in Bangalore, India.